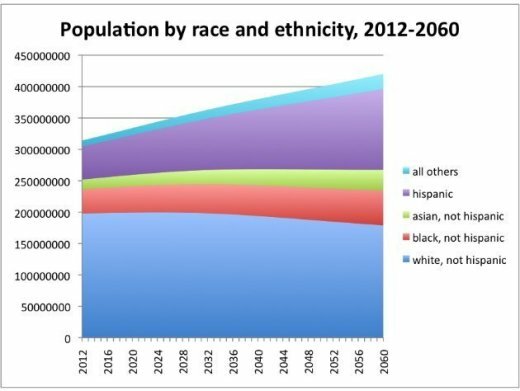 If demographics are destiny, the US will soon become Mexico. 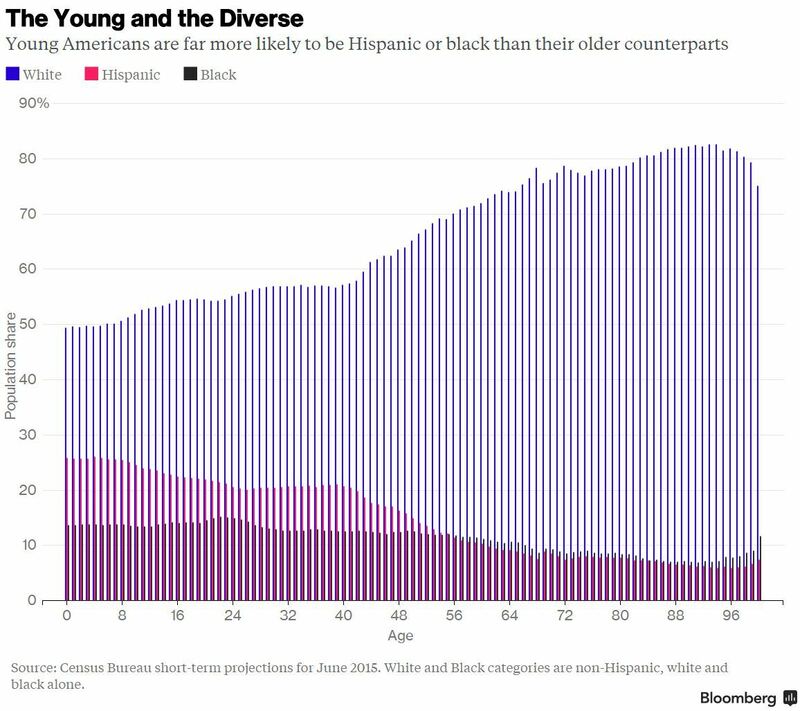 U.S. Census data of American residents shows that the most common age for white Americans is by far the oldest. The most common age of Hispanics is 47 years younger. The most common age of white American residents is 56 years old, 27 years old for Asian Americans, 25 years old for black Americans, and nine years old for Hispanic Americans, according to June 2016 census data. It was recently reported that whites were now the minority when it came to births in 2015. 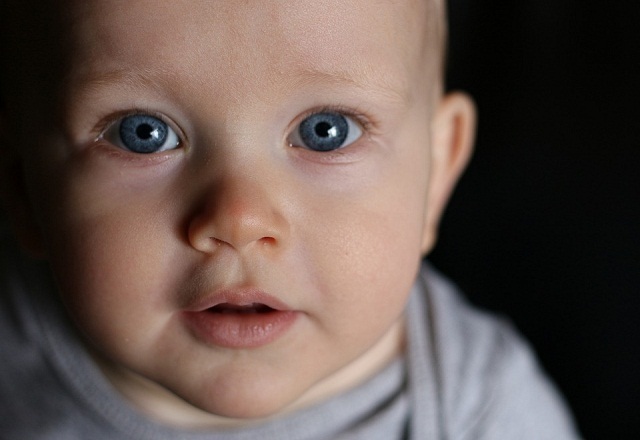 Fifty-two percent of births in 2015 were of racial and ethnic minorities. In 2015, whites also became a minority when it came to people under age five. In 2013, the fertility rate among whites was 59 per thousand women of reproductive age. For Hispanics it was 73 births per thousand women aged 15-44. The Washington Post found when whites are informed of their impending minority status they shift hard to the right. 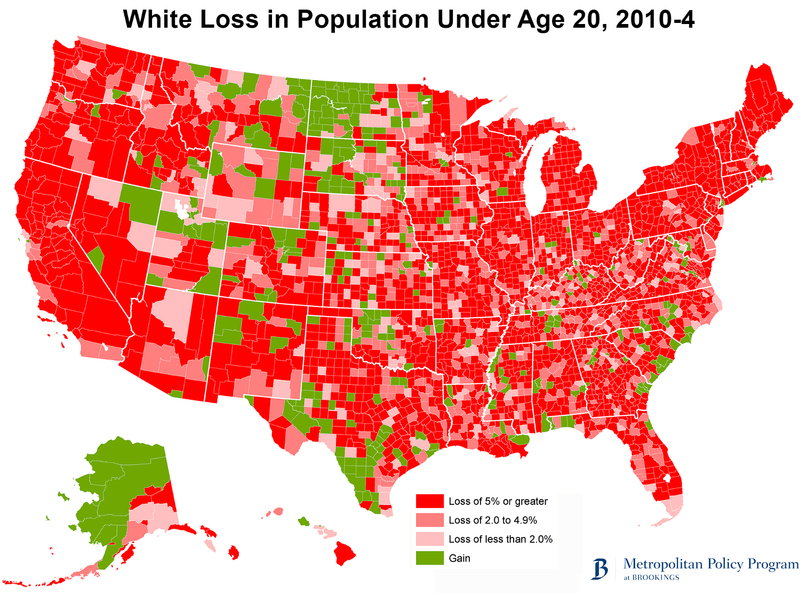 White loss in population under age 20 from 2010 to 2014. "Counties where the Hispanic population is now the largest in 1980, 1990, 2000, 2010, 2011." If you want an idea of what the country will look like in 15 or so years when whites are the minority, just take a look at the riots recently in San Jose -- where it's already happened. Follow InformationLiberation on Twitter and Facebook.